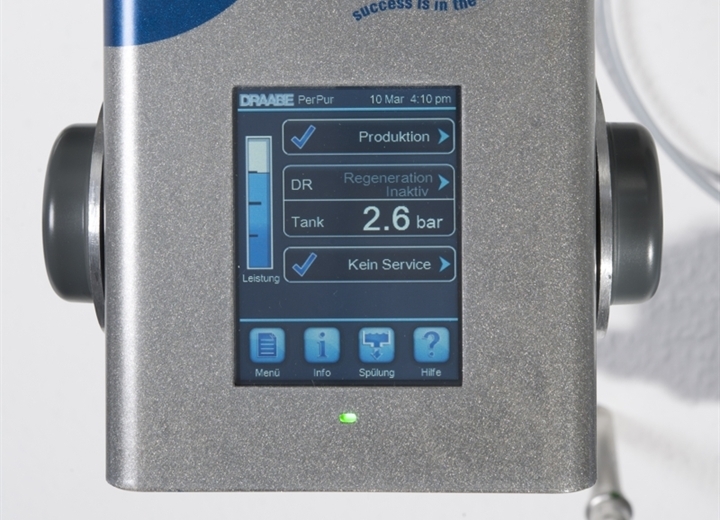 For smooth and 100% hygienic operation of the humidification system, the DRAABE PerPur system produces pure water. Minerals and the finest impurities, bacteria and germs are filtered out and the concentrate is discarded. 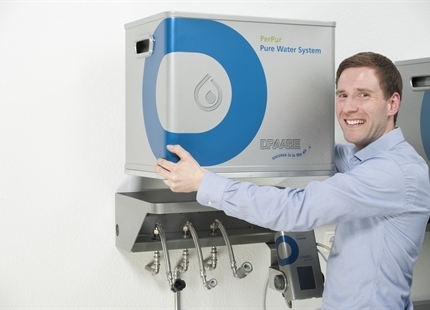 The DRAABE pure water (Permeat) is almost completely demineralised and made germ-free! 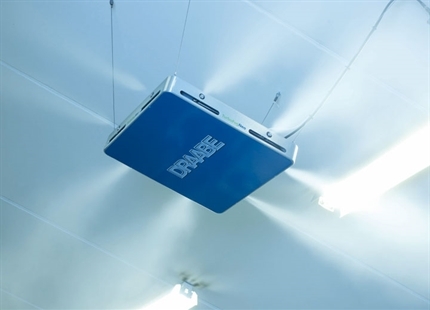 As part of the DRAABE full-service contract each PerPur system is replaced every 6 months with a fully serviced and disinfected container. All costs for hygiene inspections, disinfections, replacement parts or malfunction incidents are included in the full-service package. In addition, technical innovations and updates will automatically be retrofitted so that each PerPur System can grow with you and will never get old. Up to 80 % of the feed water is used for humidification. Only 20 % is discarded after water treatment, ensuring optimised water consumption and cost-effectiveness. 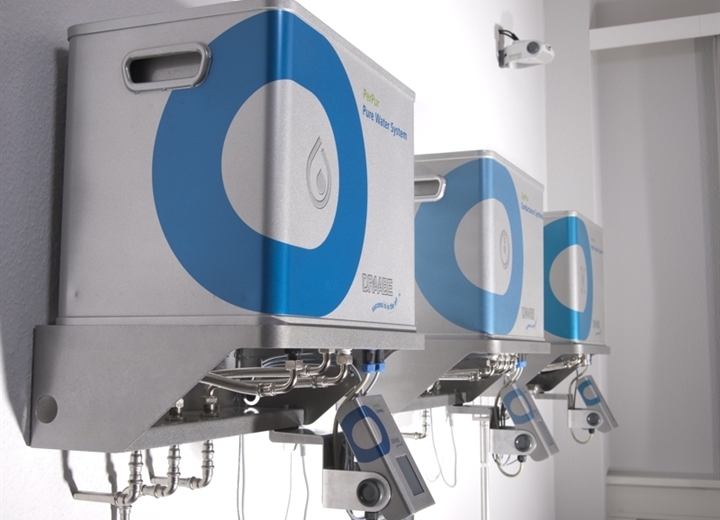 Up to three membrane units for filtering the water can be used in the PerPur unit. This guarantees pure water production of up to 300 kg/h. 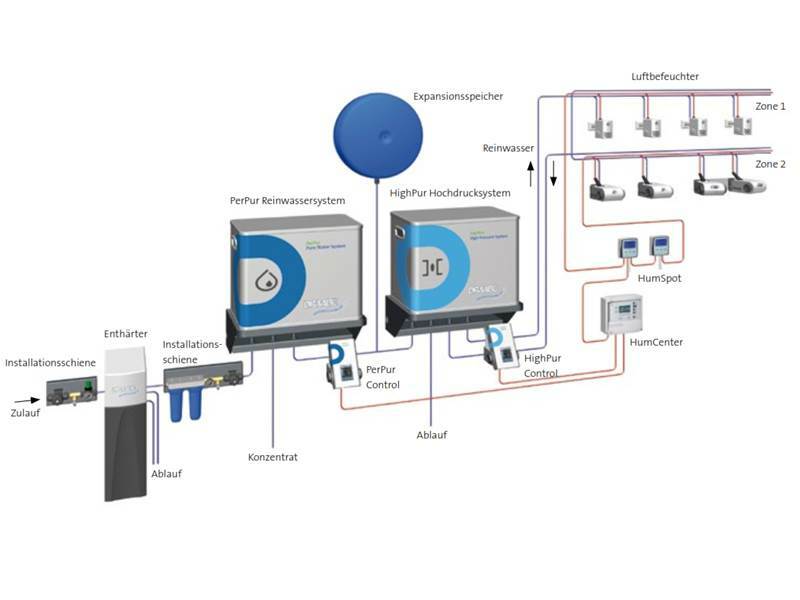 An automatic rinsing function with integrated automatic fresh water prevents contamination of the system and downstream pure water tanks through stagnation. Do you have questions about DRAABE PerPur? We will be happy to address your enquiry. We provide a customised solution for any industrial, commercial and office application.